The exhibition consists of artists and writers responses to works from the Hunt Museum’s permanent collection. Artists from a wide variety of disciplines were invited to participate, bringing a diversity of ideas to their exploration of the exhibition theme, through their engagement with the collection. Seventeen contemporary artists were invited to create new work in response to both of these historic collections which has resulted in the creation of a rich and eclectic exhibition. Matisse once said that ‘creativity takes courage’ and many of their responses have produced unexpected insights which serve to demonstrate the reimagined wealth in the collection. The Hunt Museum is very excited to display these works side by side with their historic artefacts thus creating a series of challenging and exciting juxtapositions. I chose a figure sculpture of Joachim and Anna, parents of Mary. Carved in wood, it dates from the fifteenth century. Solomon Fine Art is delighted to hold its annual Winter Group Show. The exhibition which runs right up to Christmas will showcase painting, sculpture and print by a range of renound Irish artists who can be found in many notable public and private collections. 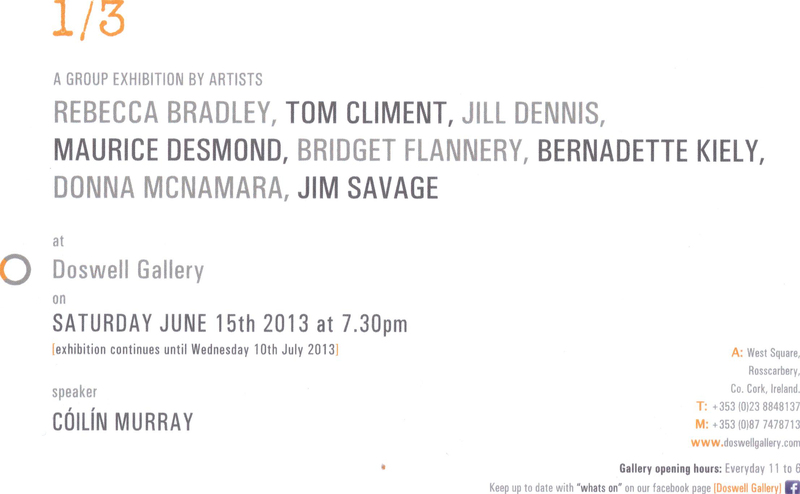 Solomon Fine Art is delighted to host its annual Summer Group Exhibition. This extensive and varied exhibition, beautifully presented in The Solomon’s bright, city centre space represents the best of contemporary Irish art and is well worth visiting this summer. The exhibition has been curated by Paul McKenna and will be officially opened on Thursday 20th July at 8pm in King House by Heather Humphreys, Minister for Culture. This year ART WORKS has been selected by Annie Fletcher, Senior Curator, Van Abbe Museum, Eindhoven & Claire Feeley, Producer Barbican, London. I’ll be showing a new collection of paintings at Liss Ard Estate from the 1st of March to the 1st of July. Mostly works on paper, they’ll be displayed in the new Gallery Room there. Liss Ard Estate is open Tuesday, Wednesday and Thursday, 9am to 5 pm, and most weekends. It is closed some weekends for private functions so it’s best to check in advance if travelling then. Liss Ard Estate | Castletownshend Road, Skibbereen, County Cork, Ireland. As part of the annual Irish Festival in China, Irish Wave 2016 will take place in Beijing and Shanghai during March 2016. This year, a series of contemporary art exhibitions and events will focus on the themes of nationhood and cultural identity as part of Irish Wave’s mission to promote multicultural artistic exchanges. Irish artists Niamh Cunningham and Fion Gunn have worked on Irish Wave Projects since 2010 and are interested in presenting exhibitions which are atypical of East-West discussions. 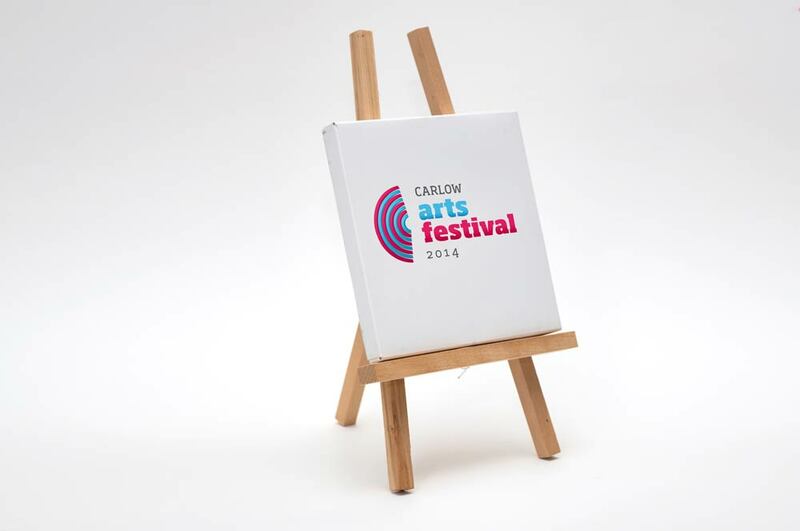 This year they have expanded the selection of artists to include those not only from Ireland and Northern Ireland but also China, Taiwan, UK, USA and Australia. My painting Harborage was selected as the cover image for the February issue of Fresh Paint Magazine. 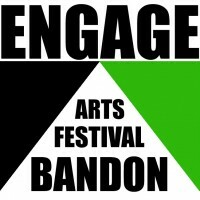 My work is featured inside along with 40 other artists. I’ll be showing with Solomon Fine Art at VUE ths year. 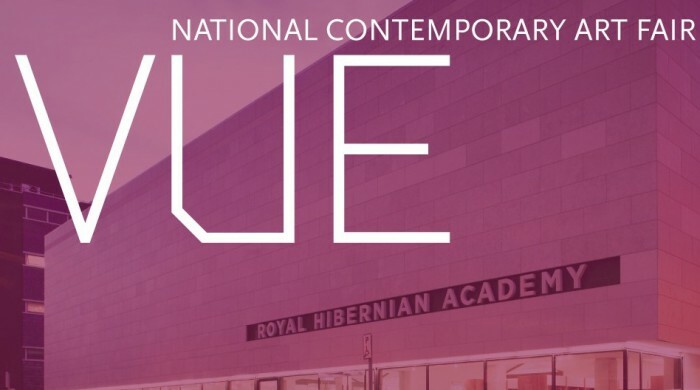 An exhibition featuring Tom Climent, Sheenagh Geoghegan & Marianne Keating as part of the Wexford Opera Festival curated by Helena Tobin. keo design at Custom House Quay, Wexford. Directions | From Cork, follow the N71 to West Cork and Skibbereen. At Skibbereen follow the one way system to the Regal Roundabout with LIDL Retail Shop roundabout. Follow signs to Castletownsend, R596. The entrance for Liss Ard Country Estate is less than a 1 Kilometre on the right-hand-side. The perception of space is a complex phenomenon; we have not simply a mental apprehension of space but an experience of living space. The creation of space through perspective indicates a fixed point of view; a lived space contains a remembrance of past space and a longing for future spaces. The postion of the viewer is always shifting. Climent’s practice of art to date has been as a painter and one of his interests has been in how art addresses the body in space. For him a painting could become a window connecting an inside with an outside. In his work the devices of perspective and more abstract methods of reduction can create a pictorial surface which allows our bodily world in. His initial enquiry was focused around spatial constructs and how they might provide a structured space for our existence. Taking a basic structure as an analogy for our place in the world, he started to create very rudimentary spatial structures; a fundamental shape or vessel that could contain a human presence. People organise space so that it meets their needs and supports their social interations. The space buildings create have an important part in how we live our lives. A body is a lived body and as such the spaces it inhabits are lived spaces. From this original idea Climents paintings have become more intricate and complex in structure. As traces of memories and feelings accumulate and overlap on the canvas, construction and deconstruction become active tools in the creation of his paintings. His work reminds us of how our spatial ability becomes spatial knowledge as we navigate our world and with this knowledge we create a place for ourselves. Our expression of this place inheres in the kinds of structures we create for inhabitation. A building is a container – for ourselves. Is this space then, our most basic root in the world; a footprint of our mode of being here? One of the great joys of looking at painting lies in observing how the artist handles colour. The abstract architectural structures in Tom Climent’s compositions shimmer in a place where green and pink meet orange, and russet red dances with purple-violet blue. Climent incorporates plaster into the larger canvases. In Mountain Machine, it forms a floating ceiling with the texture of cracked lava above a cool interior. Walls appear to shift and slide with dreamlike inevitability; their soft, blurred edges imply a slow, tentative settling that is far from decisive and yet unavoidable. Climent paints slanted roofs and gable ends that echo the ghosts of built structures, unfinished and disused. At the base of Monument to the Hereafter, plaster lumps mimic the rubble of disturbed earth. These non-places are a kind of everyplace, but carry special resonance in the context of post-building boom Ireland. In Artificer Transducer, the house form morphs into something less specific: an almost crystalline structure, no longer manmade. Climent’s use of colour borders on the psychedelic. It’s risky but assured and instinctively right. He makes pigment glow. 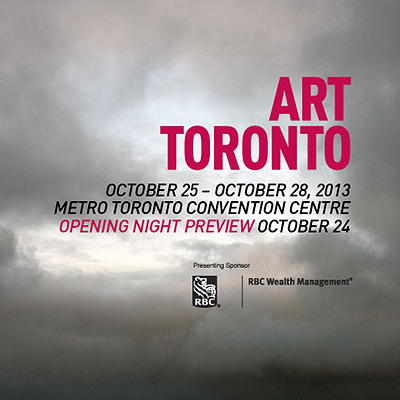 and art enthusiasts expected to attend over the course of the weekend. 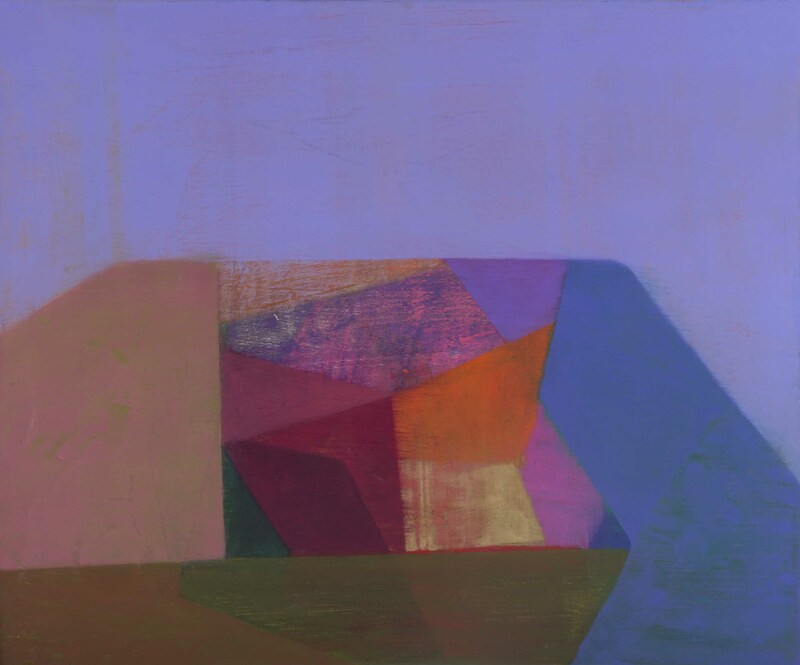 Tom Climent’s paintings focus on the creation of space, investigating the boundaries between abstraction and representation, using spatial structures to make this quality solid and physical. These exist in a field of tension between the artistic vision of abstraction and the physical world of representation. A recipient of the Tony O’Malley and Victor Treacey award, his work is found in numerous public and private collection throughout Ireland and abroad. When I started out on this new phase of work initially it was the notion of a ‘house’ that interested me, the house as nucleus, the origin of architecture and of constructed space, the “original shell” that Bachelard speaks of. This idea of a shell was one I wanted to investigate more; simple structural shapes and objects that could function as dwellings. 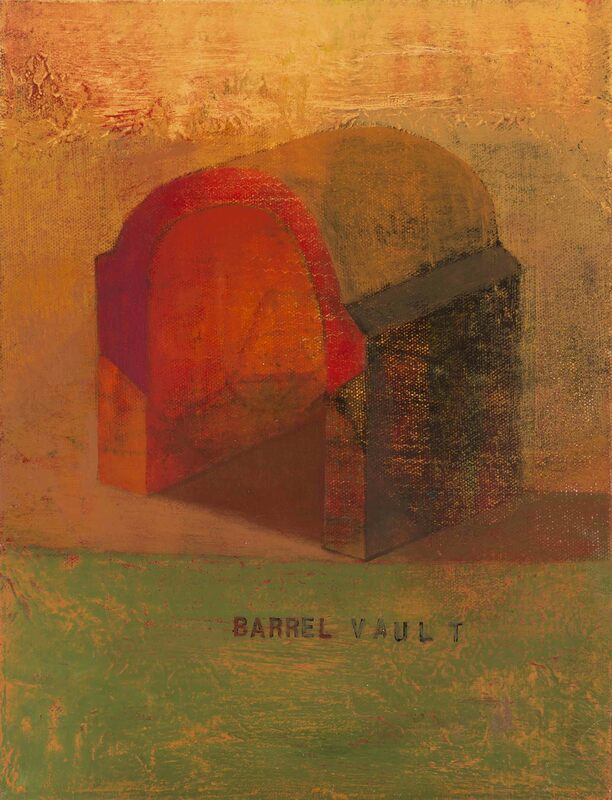 These started to become symbolic for me in that I saw these structures as a kind of hut, a spatial place; physically located as the studio and mentally as the center from which my work comes. Tom Climent’s newer work operates in both painting and sculpture, focusing on the creation of space, investigating the boundaries between abstraction and representation as a means of conveying this.Exploring the dematerialised qualities that one does not actually see in reality, and using spatial structures as a vehicle to make this quality solid and physical. These spatial structures become a metaphor for duality, enabling us to visually explore an outer as well as an inner spatial world. This exploration exists in a field of tension between two poles of visualisation, namely the artistic vision of abstraction and the physical world of representation. This new body of work is much more physically present than his previous ones and yet conversely it conveys an aspect of reality which is less physically present. They contain the memories of the past, what used to exist, what could exist and what does exist. 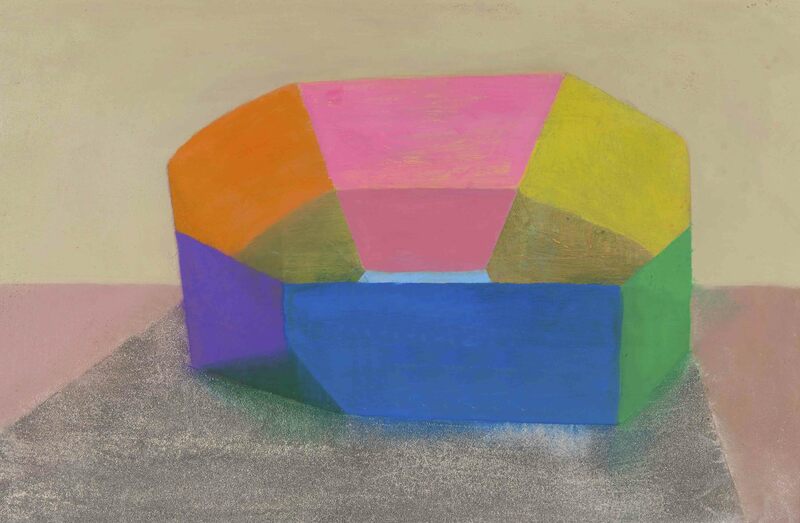 Dublin’s BlueLeaf Gallery is proud to present powerful new works from five of its artists at Art Miami: Tom Lieber, Tom Climent, Claudia Alvarez, Marty Kelly and Suzy O’Mullane. They are renowned for their unflinching, issue-based works, in a variety of media. Tom Lieber’s gestural new works are informed by counterbalances between man and nature and reflect his holistic approach to painting. Suzy O’Mullane’s figurative works contain mark-making that is both powerful and restrained; her images range from contemplative innocence to direct examination. We are grateful to Culture Ireland for their generous support. 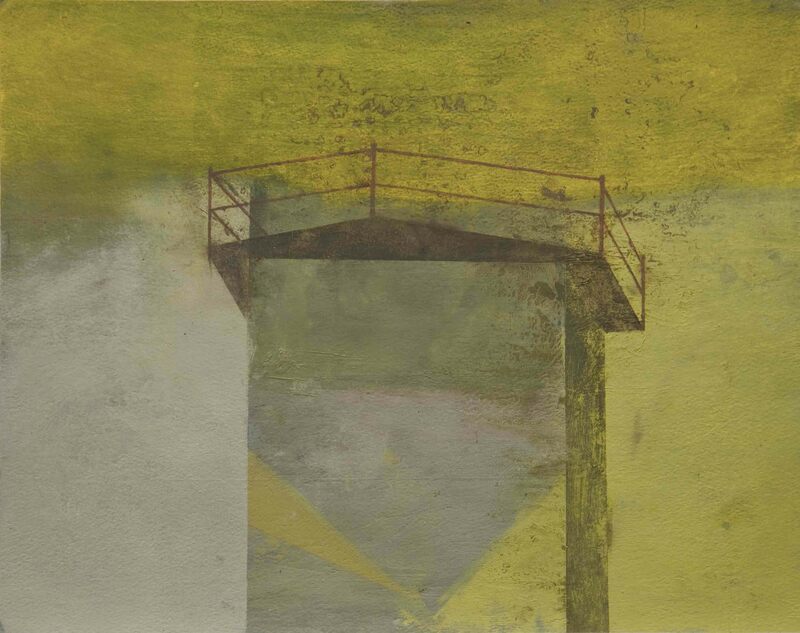 Blueleaf Gallery is proud to represent exciting and current works from Claudia Alvarez, Tom Climent, Marty Kelly and Suzy O’Mullane at Art Toronto 2011. The four artists exhibiting with us at Art Toronto are renowned for their unflinching issue-based works, in a variety of media. Suzy O’Mullane’s figurative works stem from issues of personal significance. Her mark-making is both powerful and restrained; her images range from contemplative innocence to direct examination. 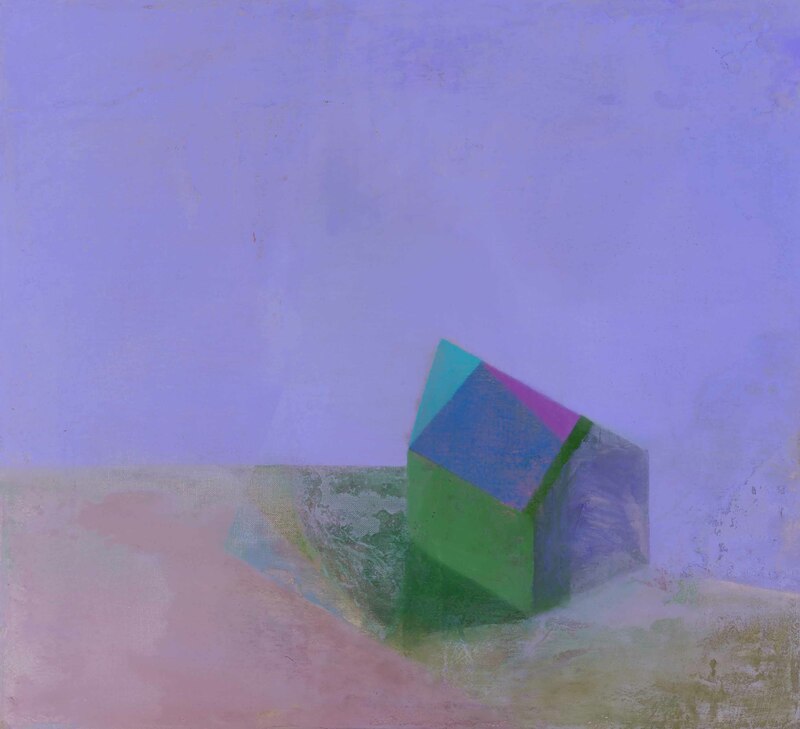 Tom Climent also works in 2D and 3D, where his house-like structures represent shelter and the shifting notion of home. Marty Kelly’s painted heads are sensitive and wistful, and yet are a statement about the human cost of conflict. Claudia Alvarez is a Mexican-American artist, who’s ceramic and watercolour installations relate to history and childhood memories. 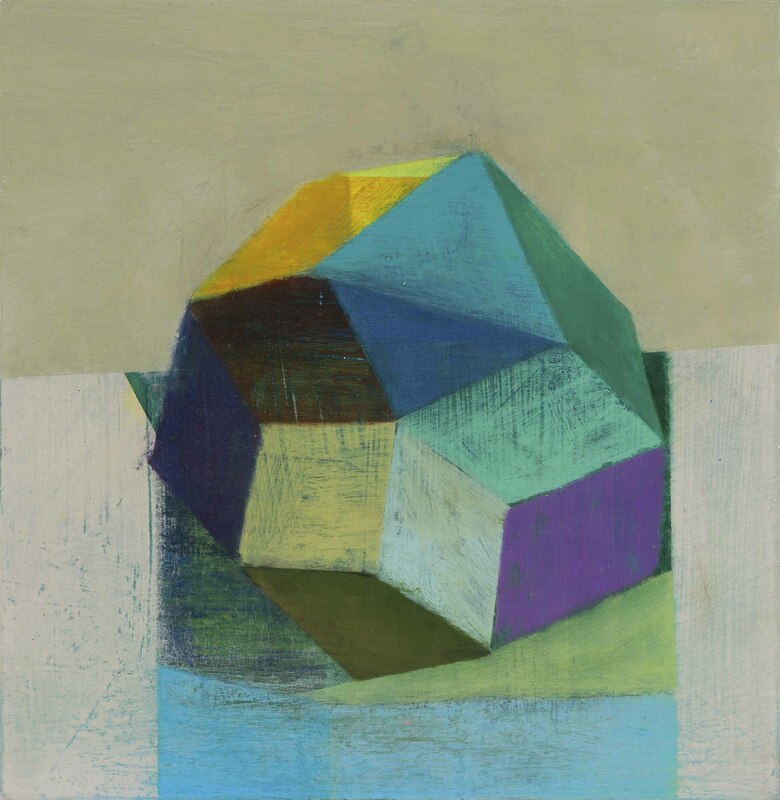 An exhibition of New Paintings by Tom Climent, Aidan Crotty and Stephen Lawlor will open at the Lavit Gallery on Tuesday May 10th. 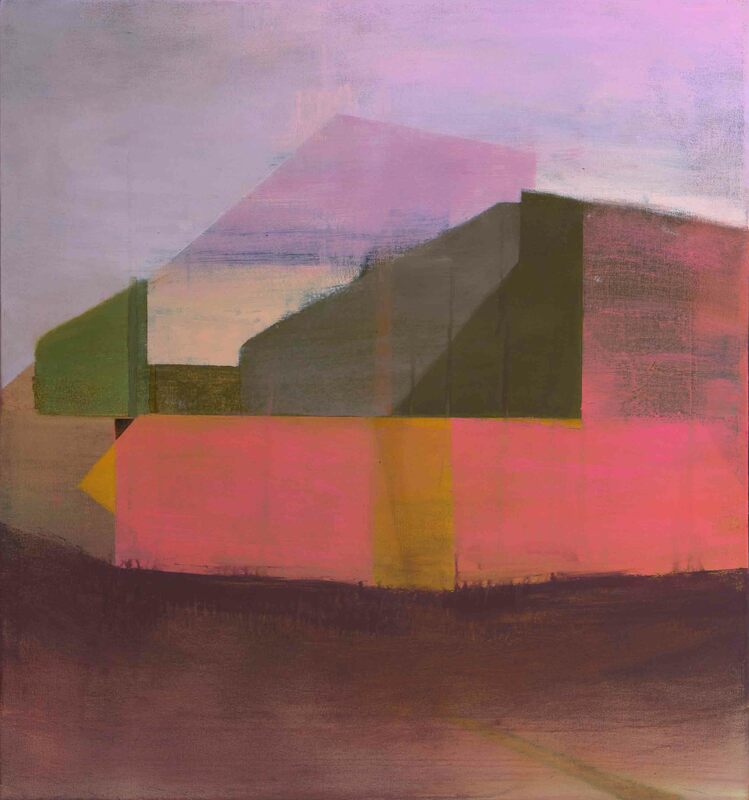 Tom Climent’s most recent works are more architectural than previous ones. A lighter use of paint and an interest in mood is evident in this new series. He is interested in the idea of a shell, a simple structure and uses the following quote from the philosopher Bachelard to remind us of our feelings towards these places – “When we are lost in darkness and see a distant glimmer of light, who does not dream of a thatched cottage or, to go more deeply still into legend, of a hermit’s hut.” Cork artist Tom Climent graduated from Crawford College of Art and Design in 1995. Recent solo exhibitions have included the South Tipperary Arts Centre, The Hunt Museum, Limerick, The Fenton Gallery, Cork and Kevin Kavanagh Gallery Dublin. most innovative artists from across the globe. 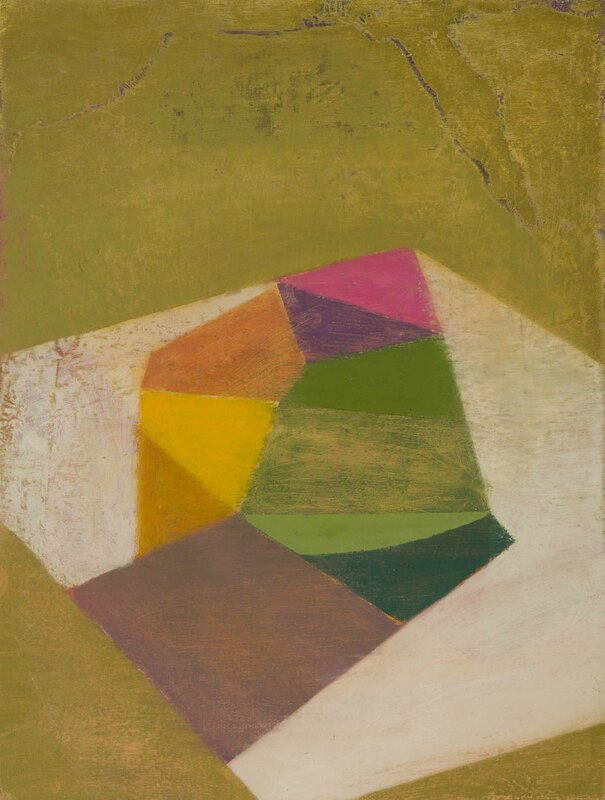 BlueLeaf Gallery is pleased to announce its participation at Art Chicago 30 April-3 May 2010 exhibiting works by Marty Kelly, Tom Climent, Oisín Byrne and Sean Hillen. These Irish artists recently participated in a major international exhibition of work by Irish and New York artists presented by BlueLeaf in Dublin. 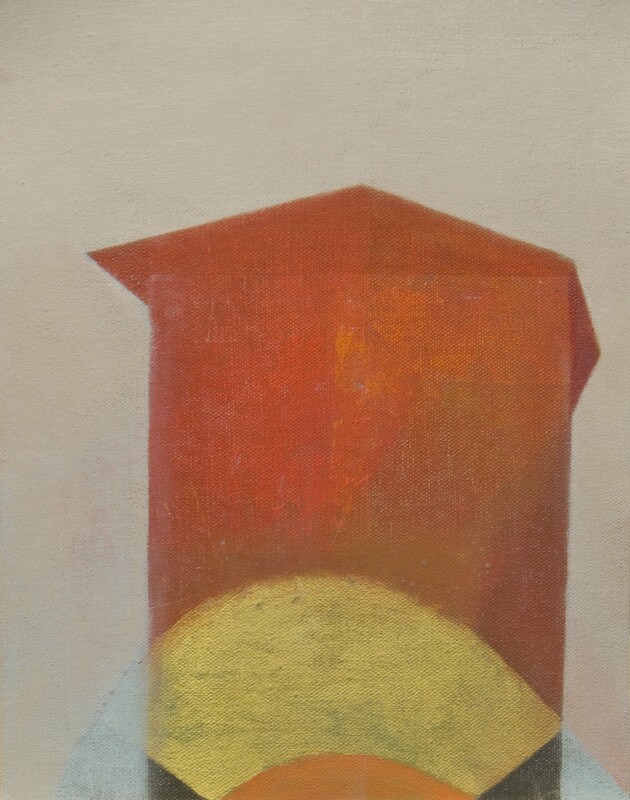 Tom Climent’s recent paintings explore properties of built forms in the context of light and colour with the intent of introducing a “sacred space embodied in the landscape.” Irish writer Deirdre Purcell describes Climent’s work as having “evolved from the more abstract end of landscape depiction towards a mystical worldscape containing recognizable architectural shapes, spires, churches and towers, seen to be almost floating as though detached from the bonds of earth”. Climent explores these elements in grand-scale works as well as in small compositional formats. Born in 1970 in Cork city, Climent abandoned engineering studies to devote himself to art full-time. He studied at the Crawford College of Art and Design, Cork and has been the recipient of numerous awards, including the prestigious Victor Treacy Award in 1996, as well as the Tony O’Malley Award. His work has been widely exhibited in several leading Irish galleries. 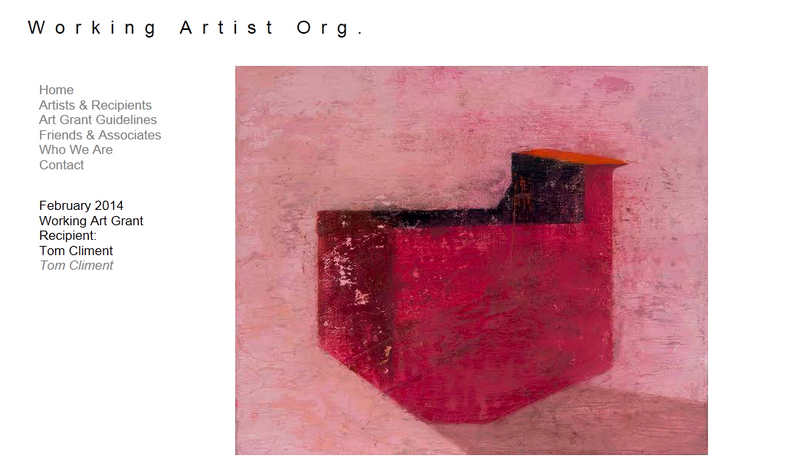 Tom Climent is based in Cork and shares his time working in his studio in Spain. ‘Wildly Different Things: New York and Dublin’ invites audiences to arrive at their own conclusions: Is shared information giving rise to global homogenization among artists’ work? Or, are artists absorbing shared information to present new perspectives and to create different means of expression—individually or collectively as geographic regions—that stands apart from art produced elsewhere? The exhibition will present work by artists working in diverse strands to include painting, sculpture, installation, photography, performance, video and film. built space ultimately led him to his current body of work. paintings are held in numerous private, public and corporate collections. These recent works are more architectural than previous ones, yet they still contain the abstract qualities which have characterised my work in recent years. These new elements give the paintings a more grounded narrative. They are an amalgamation of structures , deconstructed and assembled together. There is a desire to impose order and clarity on the abstraction in previous works which has led to a more focused image in many of the pieces. They have grown from a series I did while on a residency at Cill Rialaig artist’s retreat in Co. Kerry in 2009. These works mark a new development in my work and were completed over a 12 month period. 200 Irish Artists are profiled in this volume. Written by leading arts commentator, Robert O’Byrne, the Dictionary of Living Irish Artists includes such pre-eminent names as Barrie Cooke, Sean Scully, James Coleman and Dorothy Cross as well as many younger practitioners based in Ireland and overseas. 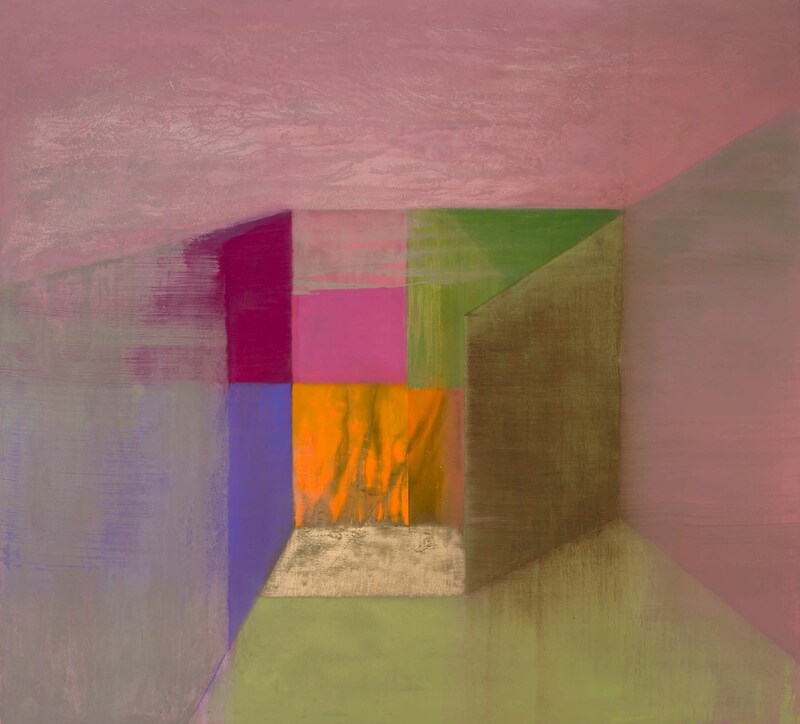 Tom Climent’s work has been steadily evolving over the years, its constants being his devotion to the process of painting, and his use of deeply saturated colour and intricately worked surfaces. His new show features architectural forms, which hover between background and foreground, emerging from turbulent areas of atmospheric colour and texture that suggest heightened natural phenomena (sunrise, sunset, mist and storm), or some unreal landscape of the imagination. The buildings are fixed points, beacons of light. The buildings, whether single shapes or in clusters, contain a calm focal point within the layers of colour and haze, whether it is the light reflected from a steeple, from the gable ends of a cottage, or the beam of a lighthouse. The precision and idiosyncrasy of the buildings’ design, their clear outline and realistic perspective, the way that shadows fall from one part of the building on to another, contrast with the more intuitive painting of the dramatically layered, non-figurative context in which the building is placed. The Italianate basilica in Pavillion seems to hover in a blur of colour, as if seen from a fast-moving train. Others, like the lighthouses in Oculus and Pico and the cottage in House of Departure are concealed behind a veil of mist or, as in Mihrab, viewed hauntingly through a patina of age. The hypnotic quality of the artist’s fusion of real and abstract recalls T.S. Eliot’s lines: human kind/Cannot bear very much reality. Hav­ing ex­hib­it­ed since 1995, Tom Cli­ment brings his stun­ning new ex­hi­bi­tion Ash­lar to the Alley The­atre Art Gallery. His work is based on the idea of scared space and the landscape all around us. Fas­ci­nat­ing, ab­stract and dra­mat­ic, Tom Cli­ment’s work clear­ly demon­strates his rep­u­ta­tion as one of Ire­land’s lead­ing artists. 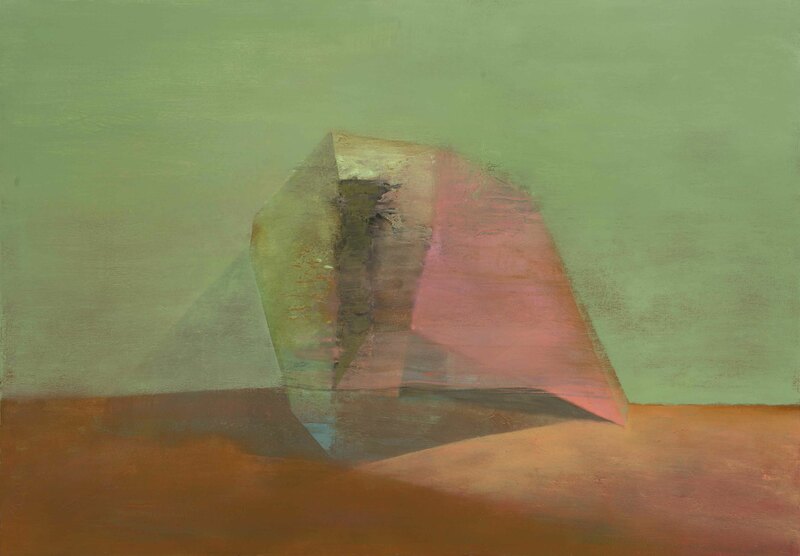 Tom Climent’s exhibition, Dust, features a group of paintings done over a 12 month period. They are more architectural in structure than previous works, a large portion of them feature churches, however they still contain the same breath of colour and paint handling, while they still have an abstract sensibility, they mark a new development in his work. They range in size from 8 x 6 foot to 1 foot square. 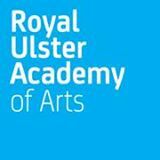 Previous exhibitions include Between Chance and Rhyme at the Hunt Museum, Hansels House at the Kevin Kavanagh Gallery, New Paintings at the Fenton Gallery, Pure at the Temple Bar Gallery and Studios. Awards include the Tony O’Malley award and the Victor Treacey award, his work is in the collections of UCC, The Office of Public Works, CIT, AIB bank, NCB Stockbrokers and numerous private collections in Ireland, Spain, UK, and USA. 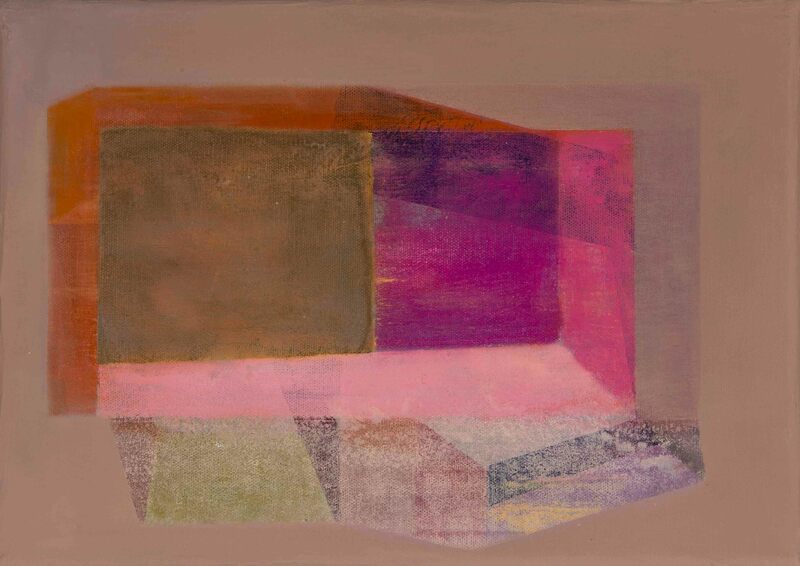 Tom Climent’s new exhibition of paintings comprises works done over an 18 month period. Usually known as a painter of large format works, he has over the last few years been working on a much smaller scale as well, as such this exhibition gives a more complete overview of his practice at the moment. Known for his bold use of paint and brooding dramatic color, he can conjure a sense of interior space or landscape both urban and rural. While there is a lyrical romantic quality to some of his newer works, there still exists a sense of interaction, drama and narrative that characterised his earlier work. Previous exhibitions include Hansel’s House at the Kevin Kavanagh Gallery 2007, New Paintings at the Fenton Gallery 2003, and Pure at the Temple Bar Gallery and Studios 1997. Climent won the Tony O’Malley Travel Award in 1997 and the Victor Treacy award in 1996, both from the Butler Gallery, Kilkenny. In 2006 a retrospective catalogue of his work Decade was published with an essay by Vera Ryan. All works will be available for purchase. The practice of painting changes in response to contemporary trends, however there are painters who reflect contemporary moods while retaining the qualities of traditional painters. 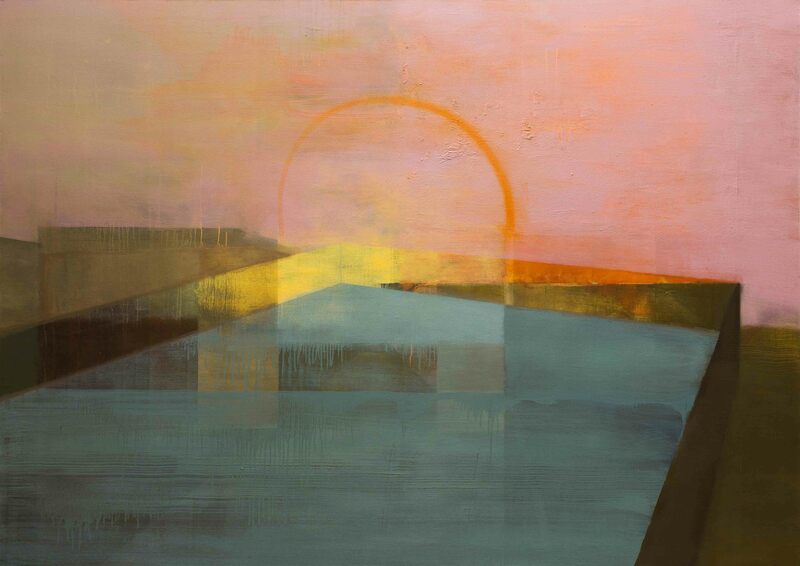 Tom Climent is a painter who is skilled with the use of both paint and brushes. Tom’s early work was mainly large canvases – seemingly influenced by Baroque painters and while the work is not entirely figurative it suggests figurative themes. The works included in this selection reflect subtle changes in Tom’s work – there is increased intimacy which can be seen in the smaller works. Coupled with intimacy is an emerging lyrical quality. This poetic quality begins with the inspiration behind the work. The sensitive application of colours the resulting textures and associated use of light and dark also contribute to this newly expressed lyricism. However, it should not be assumed that the older dramatic qualities have been abandoned. Tom continues to explore dramatic themes however his means of distillation and expressing his response on canvas is now more measured, refined and responsive. This marks this selection as another phase in the evolution of Tom’s work. 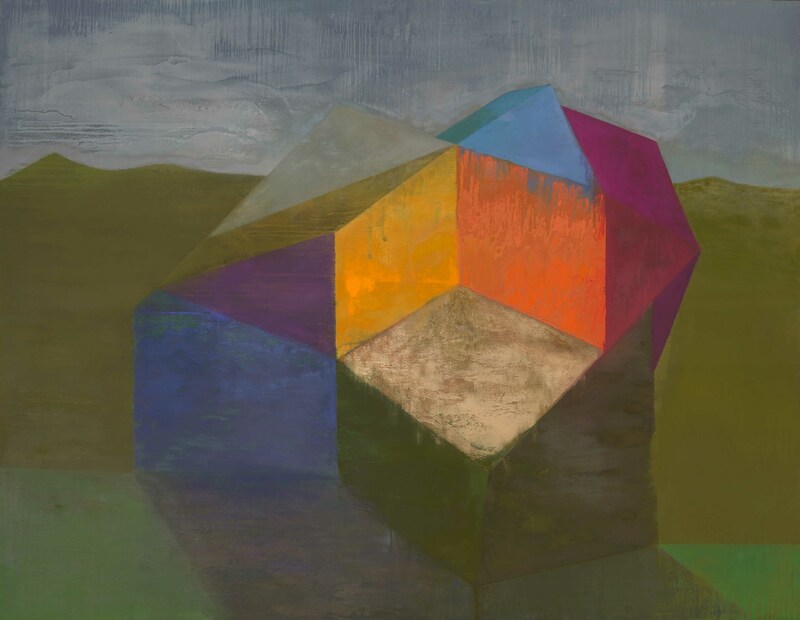 Tom Climent is one of Ireland’s most distinguished younger painters, his paintings are an expression of his own being, they are not a response to trends or changing fashion. The works included in this selection stand alone and mark another phase of the artist’s evolution. Hansel’s House is a return to the subject matter of earlier works in which Climent explored interior space. Climent’s new paintings, influenced by the Dutch Painters particularly Vermeer, suggest a narrative by the placing of the figure within an interior. Climent paints in an intuitive way trying to create an emotional resonance within his work. His paintings are open ended but have a suggestion of something tangible realised by the figure set in the interior space. 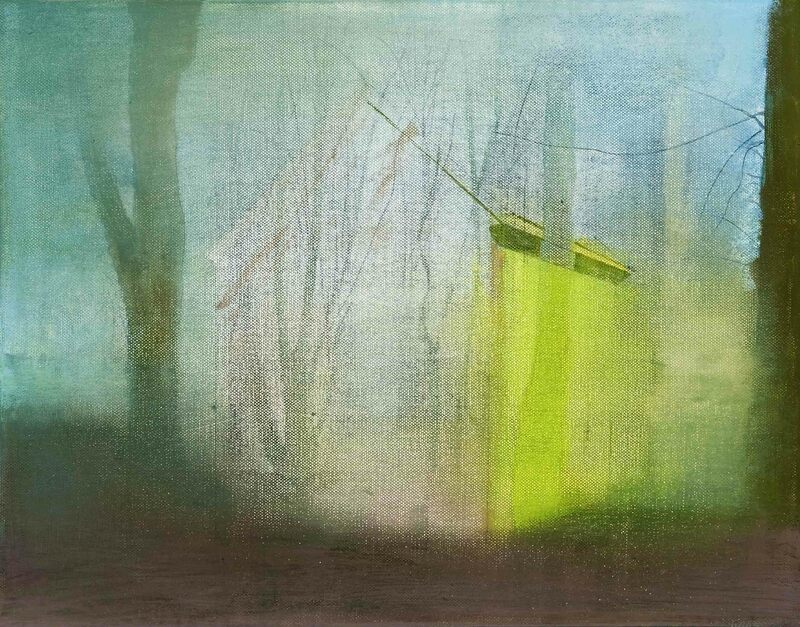 Tom Climent was born in Cork in 1970 and studied at the Crawford College of Art from 1991 to 1995. Solo exhibitions include New Paintings at the Fenton Gallery in 2003 and Pure at Temple Bar gallery, Dublin in 1997. In 1997 he won The Tony O’Malley Travel Award and the Victor Treacy Award at the Butler Gallery, Killenny in 1996. 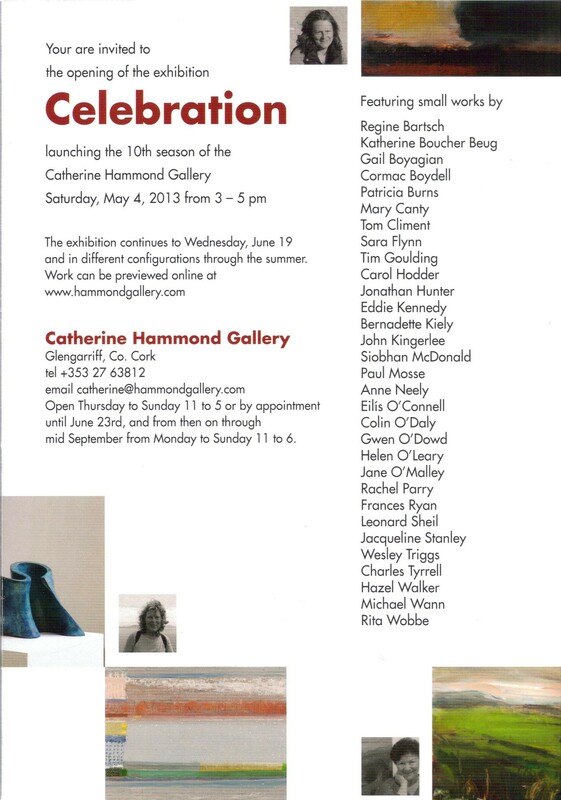 This exhibition is in association with the Fenton Gallery, Cork. The exhibition was featured on The View, RTE 1 22 May 2007. Click here to watch the clip. 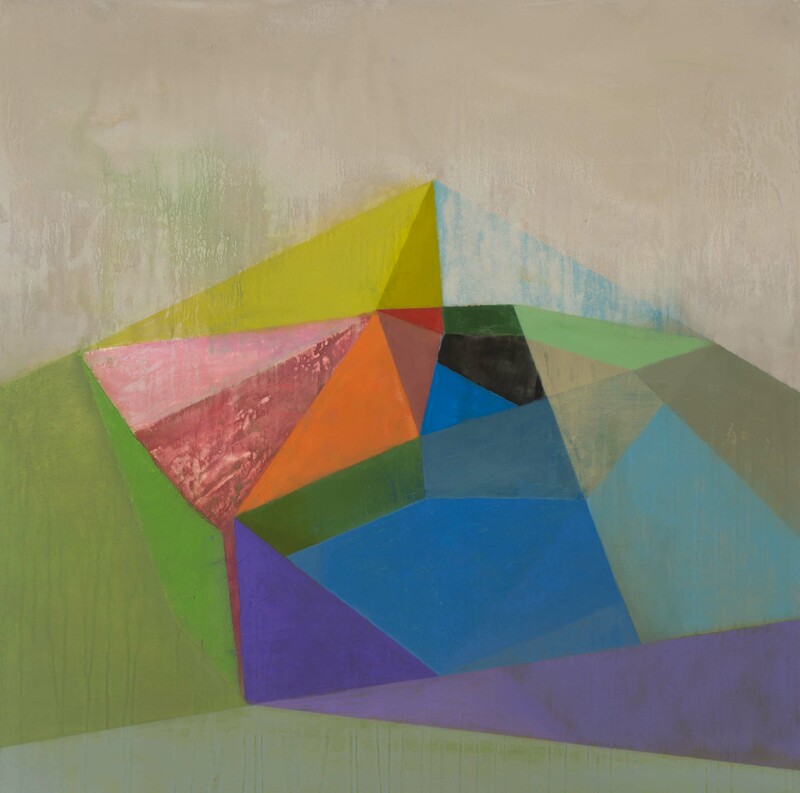 Tom Climent’s new paintings are tremendously exciting and accomplished. Working again on a large dramatic scale, some of the scenes hint again at the figurative presences so strong in his earlier work. He can conjure a sense of interior space or urban landscape within an aesthetic which is abstract and dramatic. He paints successfully at both large and small scales, colour clearly plays an important role. Travelogue was a group exhibition of winners of the Tony O’Malley Travel Award over the past 6 years. The Tony O’ Malley Award for Painters, sponsored by Waterford Crystal, was established to honour the late Tony O’Malley, a painter for whom travel was an important factor in his work. The Butler Gallery invited the artists back to the gallery to explore how their work has developed through their interest in travel. The exhibition will encompassed installation, video, photography and painting. Exhibiting were Clare Cashman, Alan Keane, Colin Martin, Eoin Llewellyn, Eamon O Kane, and Tom Climent. 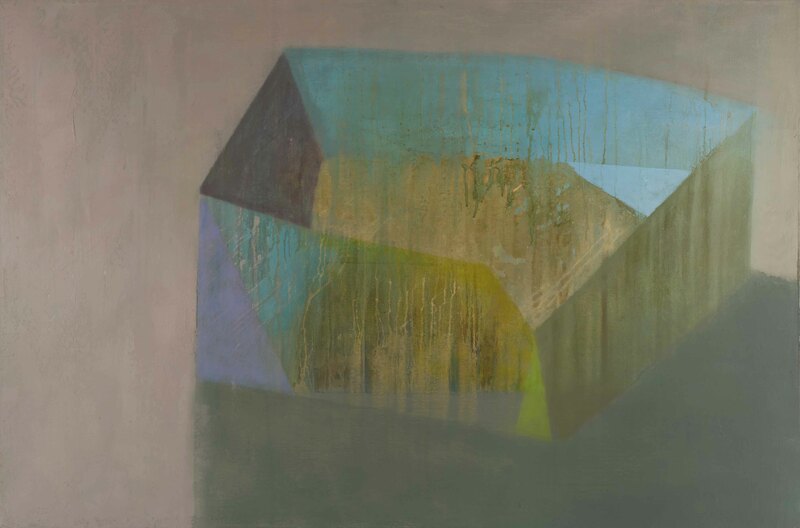 Tom Climent who has previously drawn influences from Spansh art historical references, has spent several months living in Spain over the last few years. Usually known as a studio painter of large format works, last year saw Climent working outdoors, painting from the roof of his house in Spain which resulted in him choosing to work with a dramatically smaller scale. He feels that painting outdoors also had the effect of lightening his palette. Any suggestion of a figurative presence is absent in this new series. Climents paintings have a colour confidence and freedom of dramatic expression which has always marked him out as one of the most talented younger generation Irish painters. 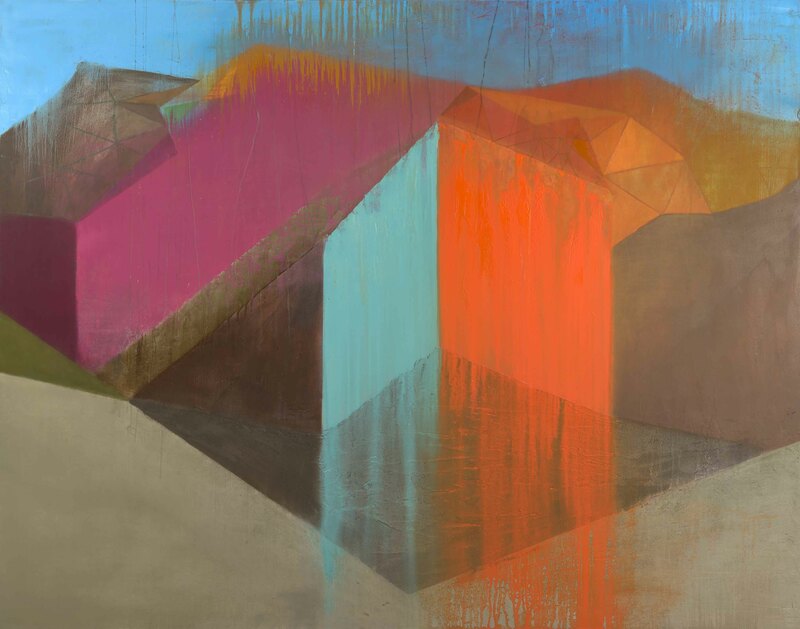 Tom Climent is known for the large scale of his paintings, his bold use of paint and brooding, dramatic colour. In 1995 his degree exhibition caused huge excitement at the Crawford College in Cork, with almost all of his paintings selling out to established collectors and public venues. His career has continued in the ascendant since then, and even more so as his work matures. This current exhibition has been eagerly awaited as it will be his first solo exhibition in over two years. His work has had a connection with Christian, Baroque and Renaissance imagery and while this is present in some of the new work, much of it seems to explore the removal of formalized figurative elements while still retaining a sense of interaction, drama or narrative. The Carravagesque shadow and imagery has subtly adapted to a more modernist sense of structure. It is a pleasure to watch this virtuoso artist further explore art’s more recent legacy of painting for painting’s sake. His sense of composition is always ambitious and the dramatic reds, blacks and yellows create strong elements in these paintings. A commanding talent further unfolds in this especially interesting show.